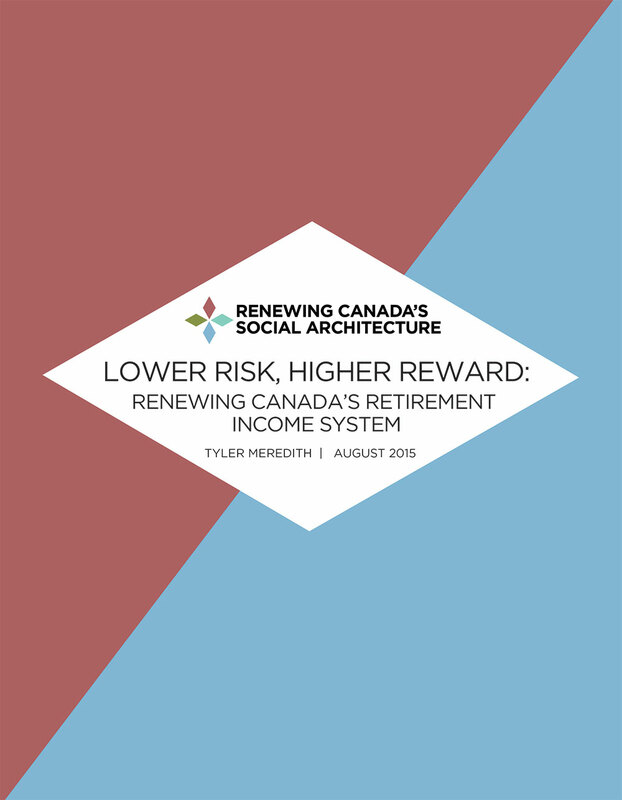 This report for the Social Architecture series looks at how well the retirement income system is serving Canadians, and how it can be improved. Historically, Canada’s retirement income system (RIS) has done a fairly good job of ensuring that seniors have sufficient sources of savings and income in order to avoid poverty and enjoy a standard of living comparable to that during their working lives. However, in recent years, a number of new stresses have emerged: a decline in the coverage and quality of workplace pension plans, a prolonged period of low-interest rates and rising life expectancy. Taken together, these phenomena have exposed Canadian savers to significant new risks in managing and preparing for their retirement. Over the next two decades, it is projected that between one-third and one-half of middle-income workers over the age of 40 today are at risk of diminished prospects as they move into retirement. This drop in consumption possibilities represents an important socio-economic challenge for Canada as we enter a period of significant population ageing. provide Canadians with sufficient resources for saving to enable a predictable and adequate replacement of income in the transition between work and retirement. what constitutes the “pre-retirement” period (how long a period should be used for establishing an income baseline). The debate about income replacement will be discussed later on in this paper to help assess whether, and how, future cohorts are adequately prepared for retirement. Clearly, how one frames the optimal amount of income required for retirement has an important impact on the type of policy issues that need to be addressed. Unless otherwise noted, this paper references income replacement using measures of gross replacement. Although a net replacement concept is preferred, this reflects the prevailing practice within the literature.